Recently, the weather has been a mix of sun, clouds, wind and rain, but I can’t really complain because it makes the grass happy. 🙂 Despite the uncertain weather, we decided to take advantage of the day off and go on izlet in Logarska Dolina – Logar Valley. Located in the Kamnik Alps, Logarska Dolina is one of the most beautiful glacial valleys in Europe. The valley consists of a few touristic farms and it is an ideal destination for those who wants to taste self-sustained local products and hikes. At the entrance of the valley, a herd of beautiful Highland cows are peacefully eating grass, next to the Kapela Kristusa Kralja – Chapel of Christ the King, designed by the famous Slovenian architect Jože Plečnik. 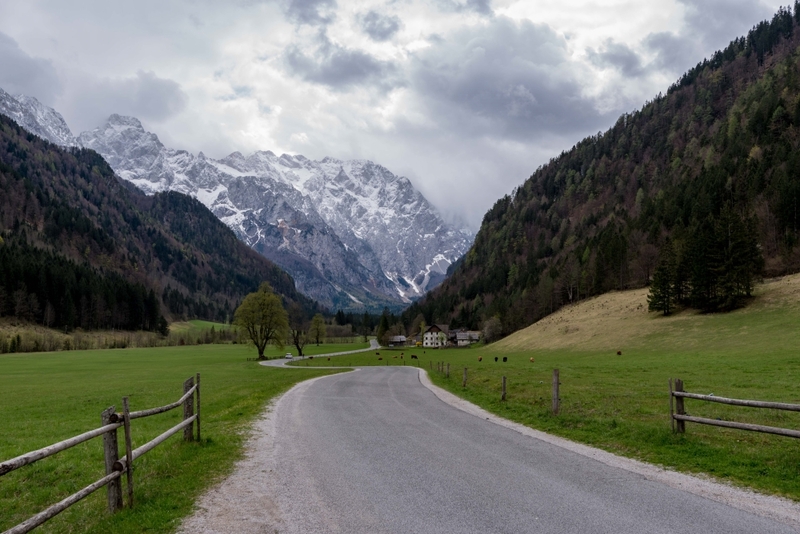 The drive to Logarska Dolina was decently long and on curvy roads. By the time we arrived, we were famished. We randomly pick a place to eat and had a fantastic homey lunch at Penzion Kmečka hiša Ojstrica – pension Country house Ojstrica, near the entrance of the valley. 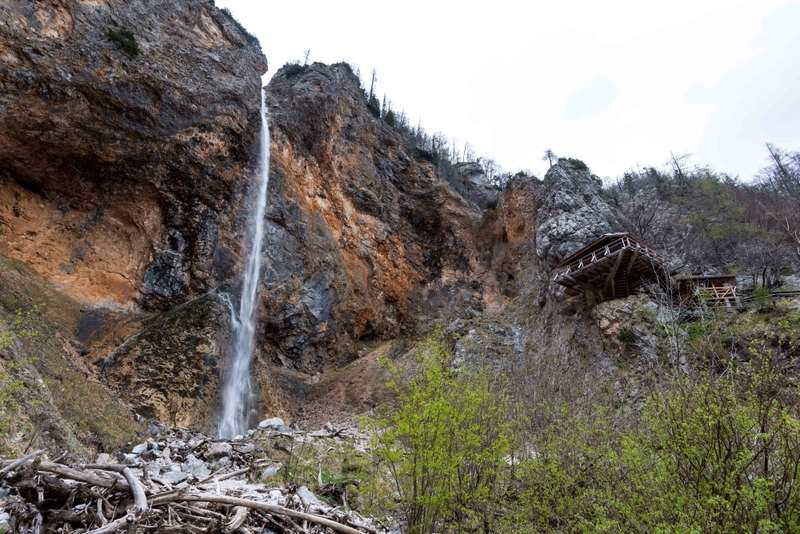 At the far end of the Logarska Dolina is the impressive Slap Rinka – Rinka waterfall. A waterfall of 105 m height with a single 90 m drop. Slap Rinka is the source of the Savinja River, which flows through the Savinjska region of Slovenia and almost as soon as it hits the bottom, its water goes underground and reappears as Izvir Črne – Spring of Črna, in the lower part of the valley. Next to Slap Rinka is a little rest spot, the Orlovo Gnezdo – Eagle’s Nest, that serves drinks and ice cream. House Name, part of a Slovenian Cultural Heritage! As many of you know already know, I live in a relatively old family farmhouse, with thick rock walls, tons of windows and a wooden roof. We own fields, hills, forest (and a waterfall). We have livestock such as cows, pigs and occasionally chicken. Last May, we were approached and asked, along with other villagers, to be part of a very interesting cultural project called “Hišna Imena” – House Name. The main objective of the project was to collect information and preserve the name of old houses. An intangible part of the cultural heritage of Slovenia. Sometimes, the name of the house was even based on animals, trees or the surrounding crops. A significant and important aspect of the house name is that the structure can have a new address or a new owner, but the house name will always remain the same. To be passed on from generations to generations. Thanks to this on-going project, old houses like ours now have a beautiful name plate, made of clay, proudly displayed and marking the building as part of a Slovenian cultural heritage. Most house names in Gorenjska (the region I live in) start with “Pr’“- the local spoken dialect for “pri“ , which means “at”. 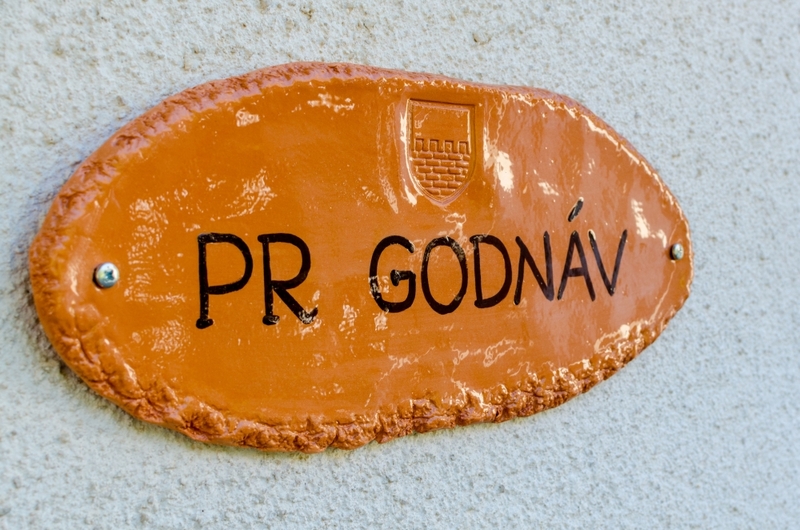 Our house name is “Pr’ Godnáv“- “At Godnav“, which takes its origin from the family name of the first owner: Godnjov. in 1859, which is carved above the arc of the main entrance. It is good to note that not every house has a name plate, only those with a house name before World War II were included into this project. More information can be found here. Proud to live in an old house! A few weeks back, we spent a sunny weekend in the area of Sežana: attending the marriage of my friend from last year’s Slovene course with her Slovenian partner (woot!). We also took the opportunity for a small getaway and celebrate our first wedding anniversary! A weekend filled with Love ❤ and adventures! First, we went Zip-line in Bovec for an amazing adrenaline adventure around river Soča, then settled in Sežana. One of my favorite places in Slovenia is indeed Lipica Stud Farm, the oldest stud farm in Europe that breeds the prized “white” horses of Slovenia: the Lipicanec. The paths leading to the stud farm are surrounded by endless pastures where horses roam freely. I just love spending quality time strolling near the pastures, admiring the beautiful Lipicanec and of course, taking photographs of them. Another place that I wanted to visit again was the village of Štanjel, one of the oldest settlements in the area. Located on top of a hill, the village can be seen from afar. In the 15th century, a fortified wall was built around the village to protect it during the Turkish Invasions. Nowadays, remains of the structure can still be seen. The Castle of Štanjel and the beautiful Church of St. Daniel are the main features of the village. Walking through the very narrow streets of the village was really relaxing and lovely. From the top of the hill, the view of the surrounding Krast is also fantastic! Last year, as a wedding gift, we’ve received two lovely tickets for an amazing zip-line adventure in Bovec! For those who knows me, I’m not exactly an adrenaline seeker, I’m more the quiet reader type. But since it’s a wedding gift, there’s no backing out, so on Friday, August 19th 2016, my husband and I decided to take on the challenge! Located in the beautiful Soča Valley, Bovec is a very popular destination for adrenaline sports seekers. The town has many youth hostels as well as adrenaline adventure agencies. Surrounded by the beautiful Julian Alps and nearby the famous Emerald river Soča, we decide to take a small walk around and take some (cute) photos. We also visited one of the most magnificent waterfall of the region: the Boka Slap. Its flow rate is also the strongest in Slovenia, sourcing from the melting snow of Mt. Kanin. For our zip-line challenge, we went with Aktivni Planet, an agency that has organized adrenaline activities since 2002. Helmets, gloves and harness were all provided by the tour. We reached the start of the Kanin zip-line in 20 minutes bumpy jeep ride. Before going on the “real” thing, our tour guide explained the rules to follow and the basic steps of zip-lining to ensure our safety during our flying time between Mt. Kanin and Mt. Rombon. We practiced on a training line until everyone got the basics correctly. Then… off we go! Flying down the first wire was simple unbelievable fun! All fears and worries evaporated and replaced by excitements and a surge of adrenaline. The second wire was in tandem, since it was the first one built in the area, it needed more weight to fly properly. The third wire was my favorite, as I didn’t except to fly through a narrow path between tall trees (just amazing!). The fourth wire was the fastest one. For me, the last wire was the most scaring one, it was in a completely open area and height above the ground. Through the flight, I was also hit by small droplets of rain and a gust of wind, enough to send a little rush of panic! Nevertheless, I made it safely to the end, which made me feel absolutely awesome! WOOT! Unfortunately, we didn’t take any photos of our zip-line challenge. 😦 We were afraid to lose our phones and decided to without carrying anything with us. If you’re seeking some adrenaline rush in Slovenia, I would totally recommend to go to Bovec, either for zip-line or rafting! It was a totally mind-blowing experience! For a few years now, the Consulate of Canada in Ljubljana has gracefully been organizing awesome izlet so that Canadians abroad in Slovenia can celebrate Canada Day together. This year, we explored the beautiful region of Goriška Brda. First, we went to the view tower in Gonjače, met our tour guide and headed to the cultural monument of Šmartno. We had a delicious kosilo – lunch in Dobrovo Castle, followed by a wine tasting and visit of the Klet Brda. After we visited the Cerje Memorial Monument and we finished the izlet by enjoying delicious food at Kujtna Domačija. Located at the western borders with Italy, Goriška Brda – the Gorizia Hills, is blessed with three different climates: Alpine, Pannonain and Mediterranean. The area is famous for its vineyard, fruits, especially cherries, and olives. The vineyards in Goriška Brda are locally called “brajde” and their borders are traditionally marked by fruit trees. 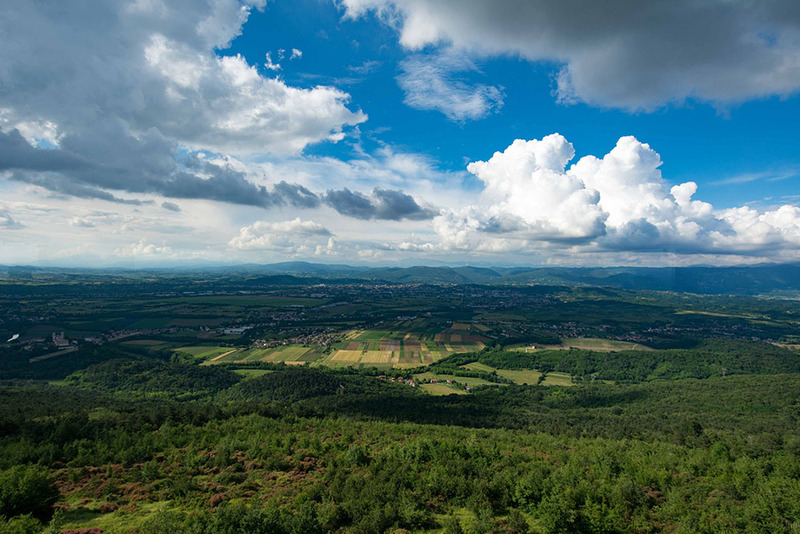 From the 23 meters high view tower in Gonjače, the lovely surrounding landscape can easily be admire – climbing the 144 steps was totally worth it! In the center of Brda is the cultural monument and restored medieval village of Šmartno. The defensive wall surrounding the village used to have seven watchtowers recognizable by their crown shape but three of them were destroyed and nowadays, only four can be seen. 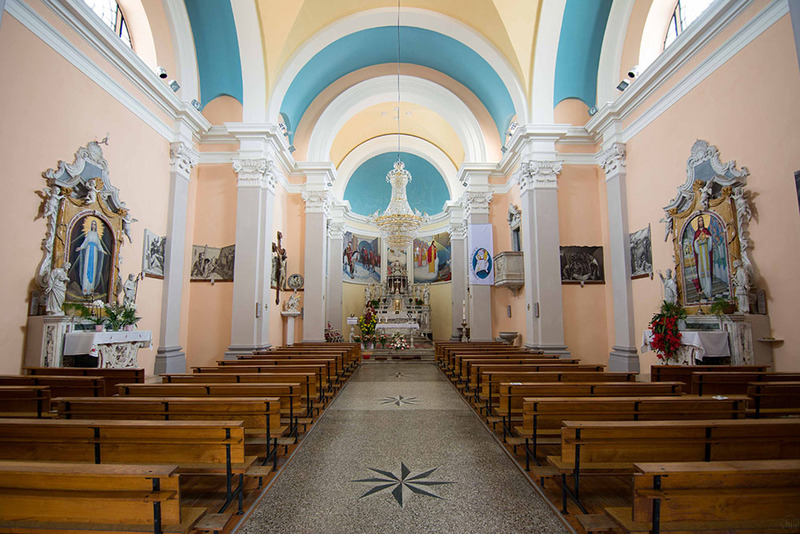 There are a total of 43 villages in the area of Brda and almost each of them has its own parish church. The bell tower of the Church of St. Martin, the largest church in the area, which used to be a fortification tower, is also at the center of the village. During the 19th century, the church has been rebuilt and expanded. The beautiful color frescoes inside the church, painted by the famous Slovenian artist Tone Kralj, contrast to the monotone and sad black and white paintings. The elevated pulpit on the right side is made of a single piece of marble. The small white cavalier statue on the left, near the cross, is the only remaining from the previous building. We were served a nice Mediterranean kosilo at the Restaurant Dobrovo Castle: sirkova minestra (corn Minestrone), frtalja (omelet with herbs), bela poleta (white poleta), toč s prsutom (prsut in Teran wine) with green peas and for dessert, we had a delicious cherry pie and coffee. Eating good food with good wine in great company! The architecture of the Renaissance Dobrovo Castle is almost a perfect square shape with symmetric towers. A very pleasing sight to the eyes. After our meal, we visited the upper floors of the Dobrovo Castle, which has a beautiful wedding hall. There are also various exhibitions rooms: objects, documents and furniture that belonged to the Count of Silverij de Bauger and his family and a vast collection of prints by Zoran Mušič, a Slovenian graphic artist from the region. One of the largest wine cellar of Slovenia is the family vineyard of Klet Brda, a cooperative of 400 families who have worked together for more than 50 years. Their wines are exported to approximately 30 countries. The best wines brand of Brda are known as junaki vinogradov – the heroes of the vineyards: Villa Brici, Quercus, Krasno, Bagueri, A+ ( a premium class wine made from the combination of the best grapes of the region) and various sparkling wines. The White Rebula, a dry white wine, is indeed the most famous and known wine of the region. Located on top of the Cerje hills at 343 masl, the Pomnik braniteljem slovenske zemlje na Cerju – the Monument to the Defender of Slovenian Homeland, can be seen from afar. The surrounding landscape is simply fantastic. On the ground level, text from the Brižinski spomeniki – the Brižinj Monuments, also known as the Freising Manuscripts, named after the place where they were discovered, are exhibited. The manuscripts are most significant as they consist of three texts in the oldest form of Slovene. The first floor is an interactive map of the battles during the World War I. The second floor is dedicated to defense movement during the anti-fascist period. The third floor is devoted to the Liberation War period. The fourth floor displays the war effort for the Independence of Slovenia. The fifth floor is a viewing platform and it symbolizes the future of Slovenia: a truly beautiful sight. Osmice – 8 days of feast, is a 200 years old tradition in the Karst region of Slovenia. During the osmice, wine-growing farms are allowed to serve homemade food and sell their excessive wine and other products without paying taxes. We savored a delicious plate of prsut, salami with cheese and homemade bread paired with a glass of good wine at Kujtna Domačija. The osmice are very popular events in Slovenia and they usually take place once or twice per year, depending on the amount of excessive wine. The entrance of each location can be easily found as it is marked by a bouquet of ivy, called fraska. To find out when and which farms serve home products, check the calendar on Osmice.info. I had a wonderful izlet discovering the beautiful Goriška Brda, but it was especially nice to seeing and meeting other Canadians that are living abroad in Slovenia. Last but not least, we went back home with a bag of yummy češnje – cherries! Visit my Gallery for more photos.